Gypsum is a complex industrial fluid that is highly time-dependent. 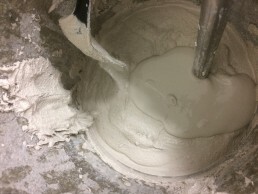 Gypsum is a complex industrial fluid that significantly changes properties over a shot time. The material must be able to be sheared with ease by the operator onto the application area (e.g. wall) and at the same time it must solidify and stick to the area over a short time. Due to the time dependency it is not possible to characterize gypsum products in the lab and use this information to predict the flow behavior of the gypsum mix on-site. 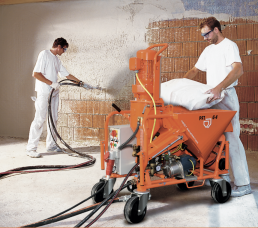 The Incipientus system can be used for different kinds of gypsum products and concentrations. Access to gypsum flow and quality information in-line will now allow engineers to accurately correlate fluid properties to the actual gypsum flow behavior at the site and application thereof. Complex properties of highly concentrated gypsum were evaluated in-line using the Incipientus system. The flow was visualized and strong plug-flow, which is related to the yield stress, was observed. In-line measurements on site location. Eliminate inaccurate sampling due to time effects. 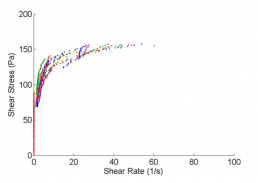 Link important fluid quality parameters to your manufacturing process.